I love Thanksgiving. Especially desserts. 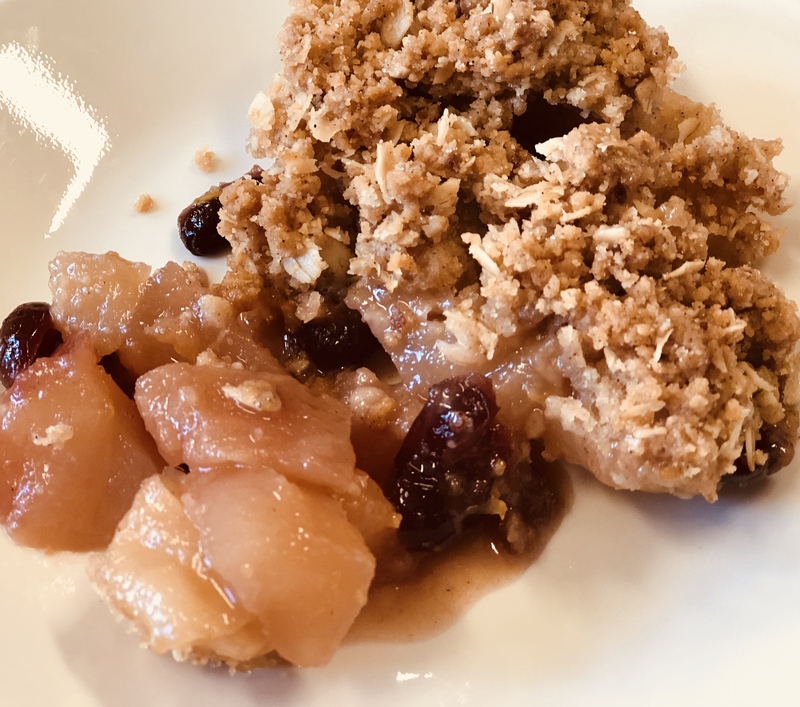 Pecan Pie and my favorite Apple Cranberry Orange Crisp. I created this recipe 15 years ago and served it for Sunday brunch every fall at the restaurant. 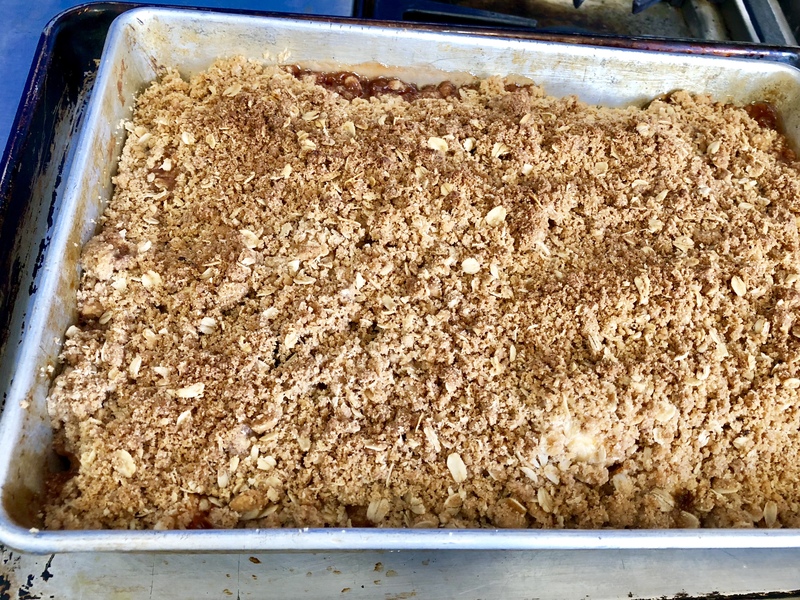 I’ve made it for Thanksgiving at home and it is a sure crowd pleaser. It’s even better topped with vanilla ice cream. 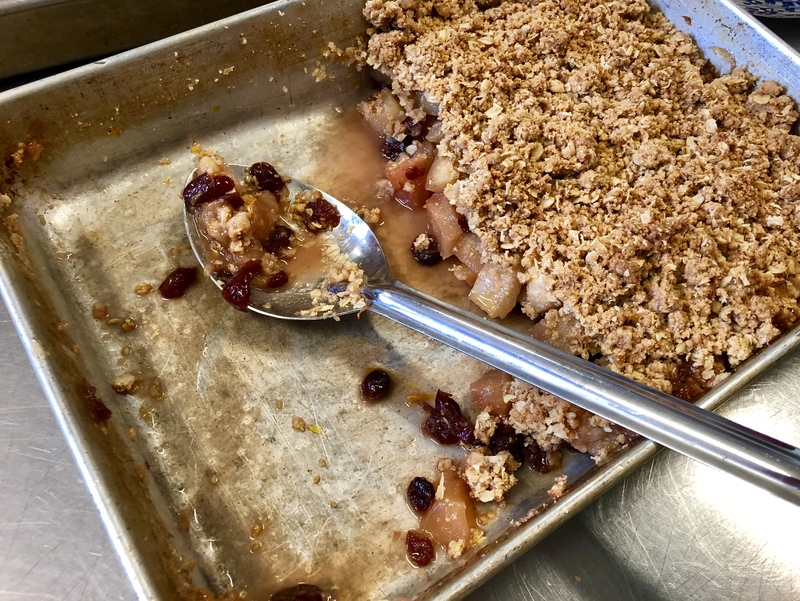 Also so there is no confusion it’s a crisp not a cobbler nor a crumble because there is oatmeal in the topping. Although it is a dessert it’s still full of healthy antioxidant rich ingredients. 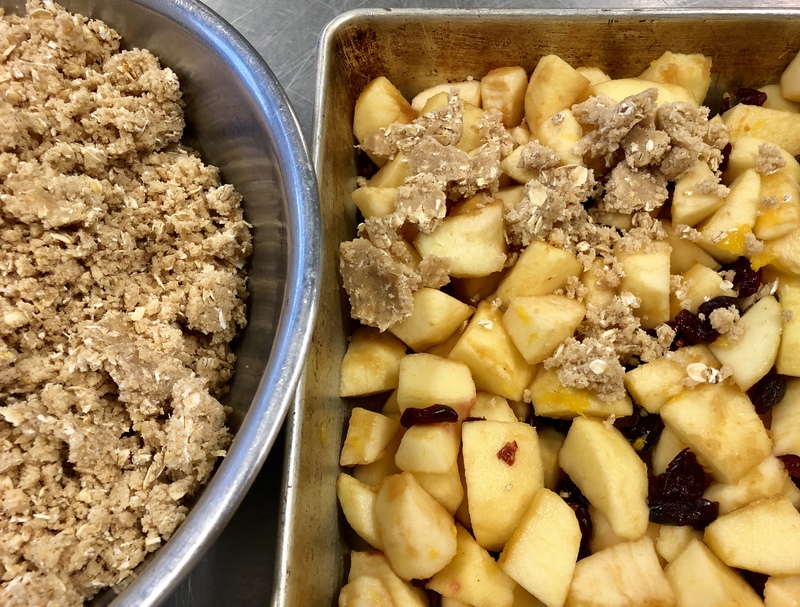 Oats, apples, oranges and cranberries are full of fiber and vitamins, so don’t feel too guilty! I love using all different types of apples. My favorite combination is Granny Smith and Macintosh. I’ve used Golden Delicious, Gala, Ginger Gold, Macoun and Honeycrisp. 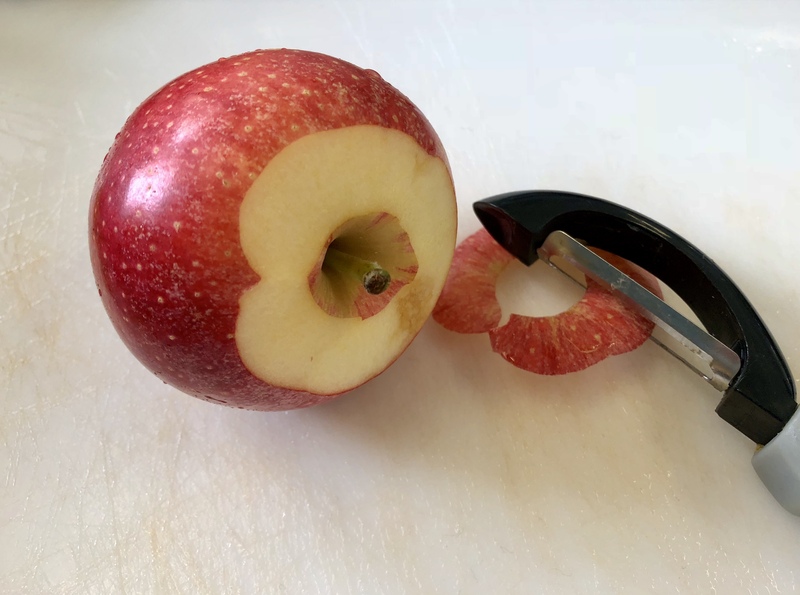 Feel free to use whichever apples you prefer just balance the flavor. I have updated the recipe taking out the excess sugar and increasing the orange juice instead. in a large mixing bowl toss with sugars, dried cranberries and orange juice. or the paddle attachment on a stand mixer. and bake at 325 degrees for 1 ½ hours until crisp topping is golden brown. 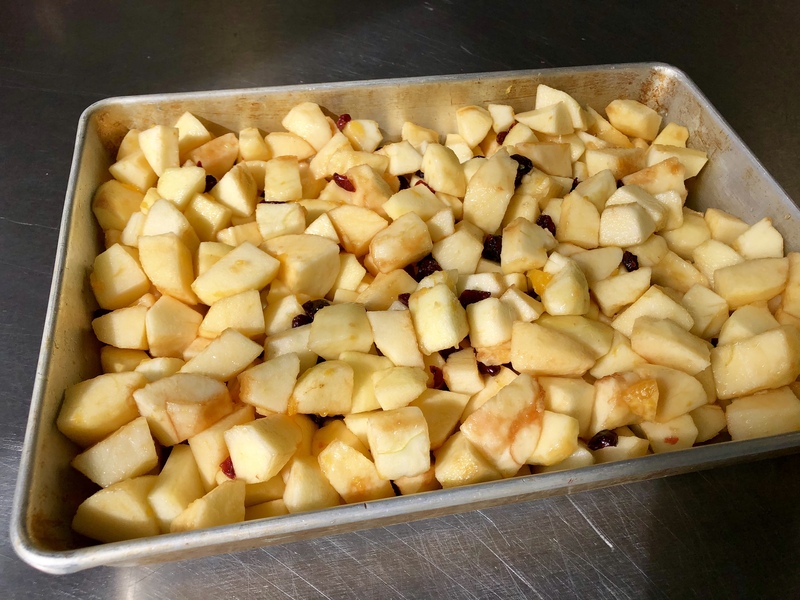 This only lasts for up to two days otherwise the crisp topping begins to get soggy. If you need to do this ahead of time you can bake it then freeze. Preheat oven to 325 degrees. 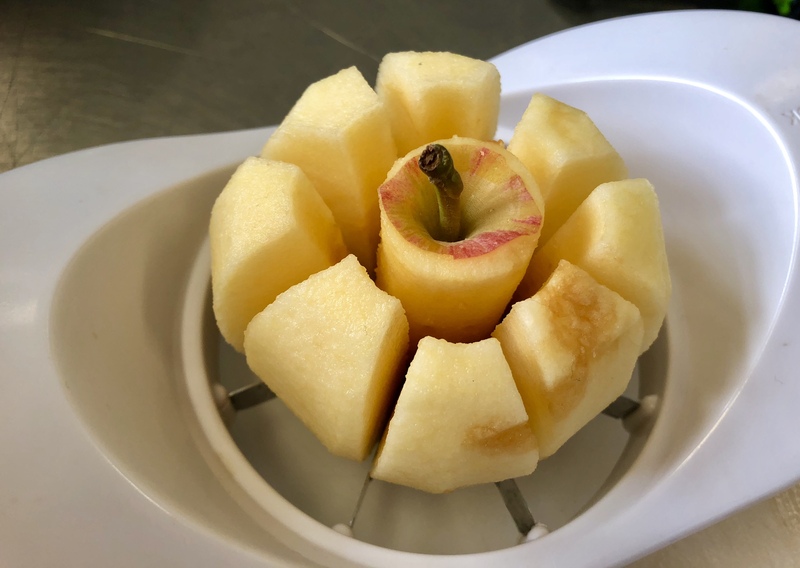 Peel, core and slice Apples into large chunks or use an apple cutter, in a large mixing bowl toss with sugars, dried cranberries and orange juice. 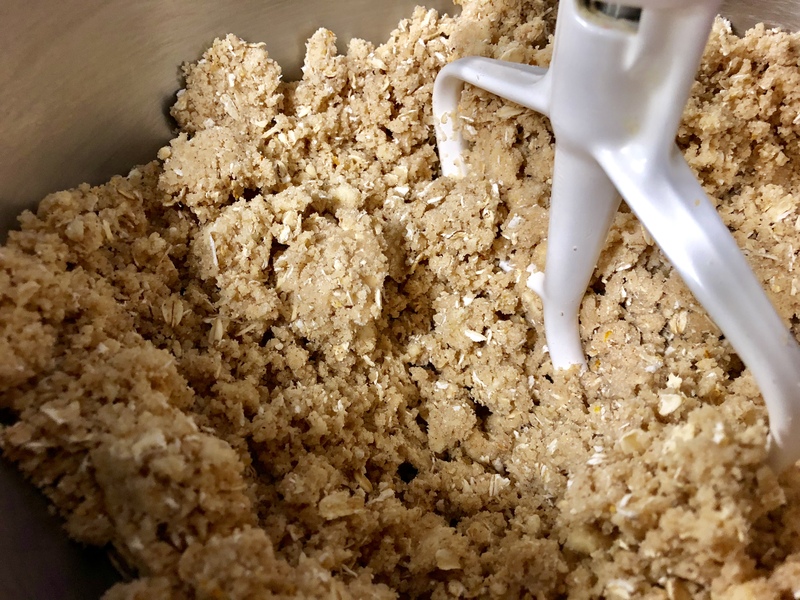 In a medium mixing bowl stir together oats, sugar, flour, baking powder, ground cinnamon and orange zest. 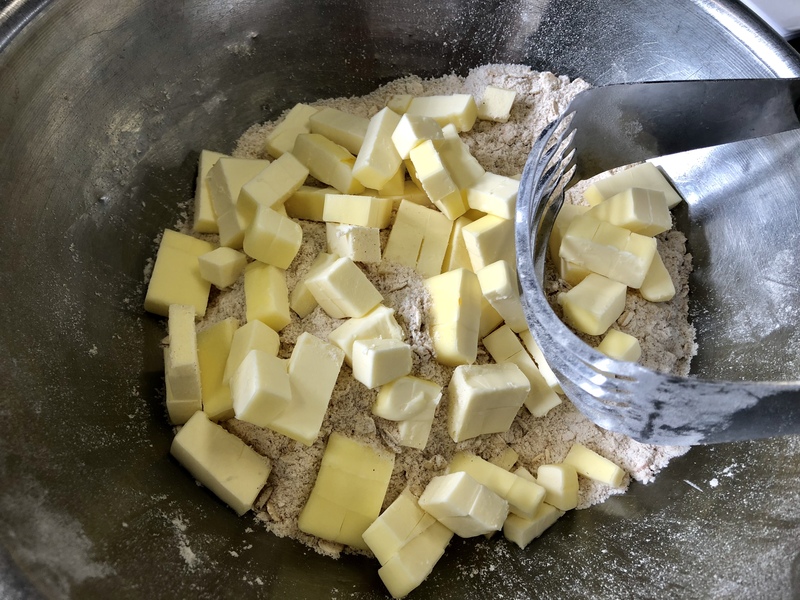 Cut the butter into the dry ingredients using a pastry dough blender or the paddle attachment on a stand mixer. 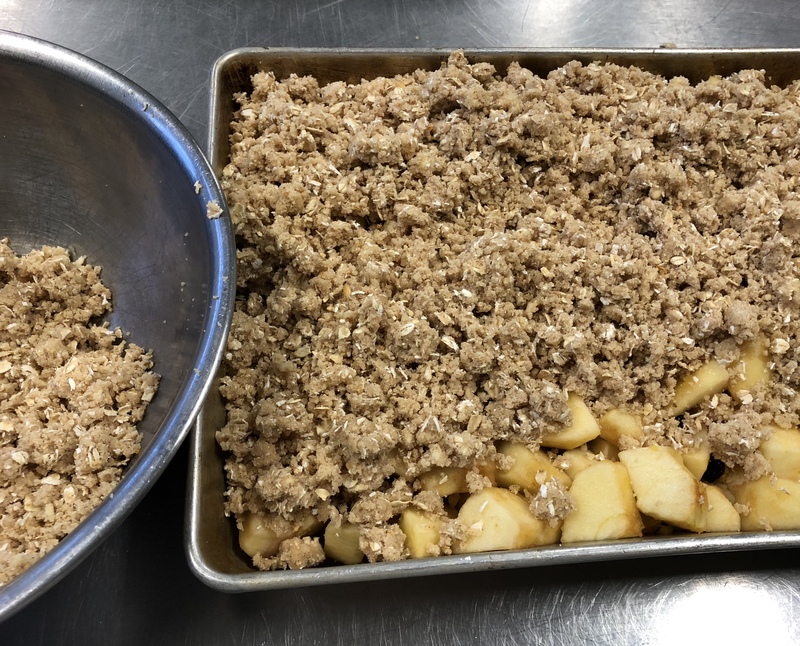 In a baking dish add apple filling, sprinkle oatmeal crisp topping to completely cover and bake at 325 degrees for 1 ½ hours until crisp topping is golden brown. Serve while warm.